HARMAN Professional Solutions is thrilled to introduce its newest addition to the Martin MAC Allure family of LED moving head fixtures, the MAC Allure Wash PC. This washlight variant of the MAC Allure Profile, features a novel RGBW light engine with unique 7-segmented beam control. 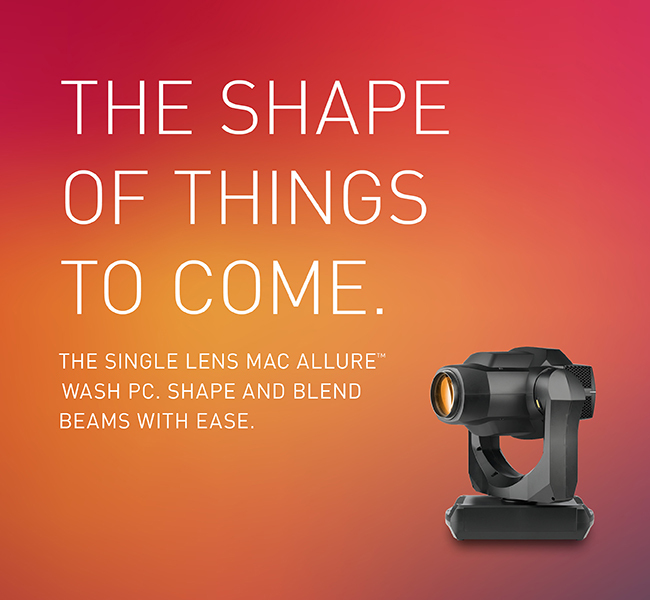 With instant colour control and pixelated beam, the MAC Allure Wash PC enables dynamic diffused projection and mid-air effects, previously not possible.